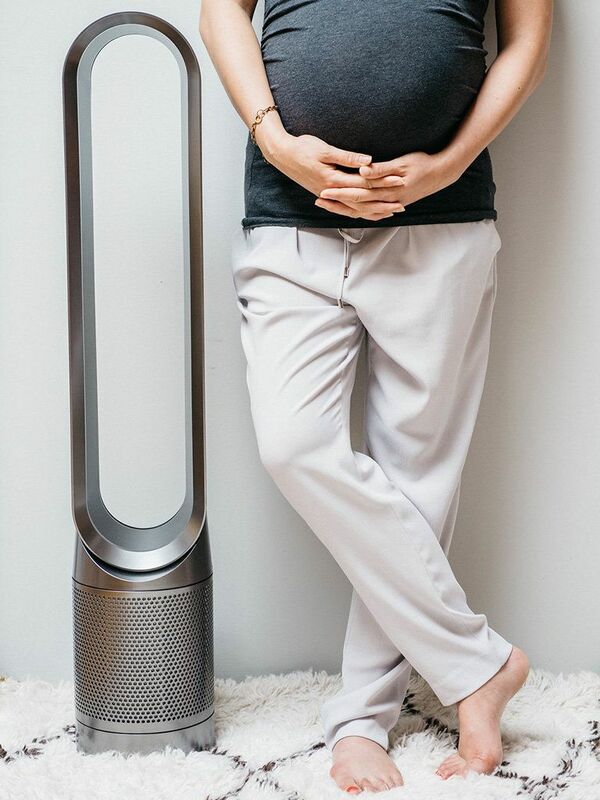 *We’ve partnered with Dyson to help you create a relaxing and healthy environment for any season of your pregnancy. Pregnancy is enough of a roller coaster, and this time of year comes with weather to match. When the seasons are changing, the temp goes up, then plummets; you shiver, then you sweat. Seems like it’s safer to just stay on your couch. We couldn’t agree more. But before you cozy up where the climate’s under your control, be careful: indoor air can be up to five times more polluted than outdoor air, according to the EPA, where invisible toxins like mold, mildew, cooking fumes, chemical cleaners and pet dander can lurk. 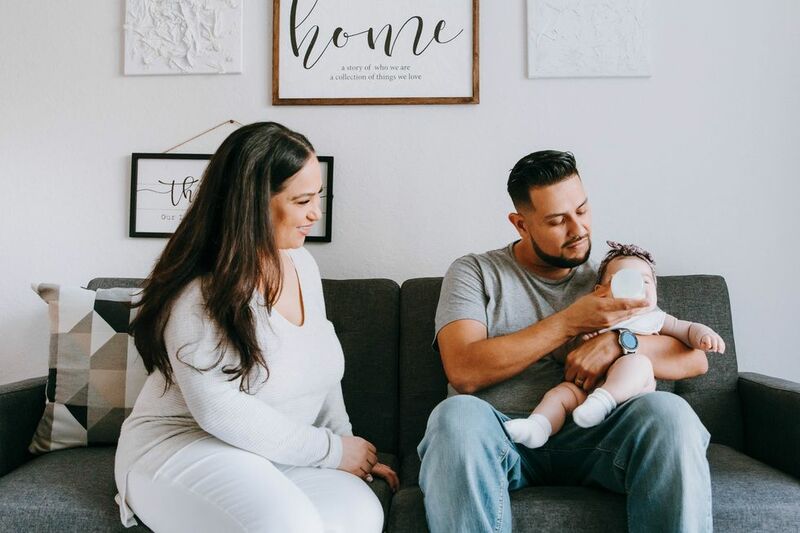 Even that new nursery could be wreaking havoc on your indoor air quality, as chemicals from paint and new furniture are released into the air. 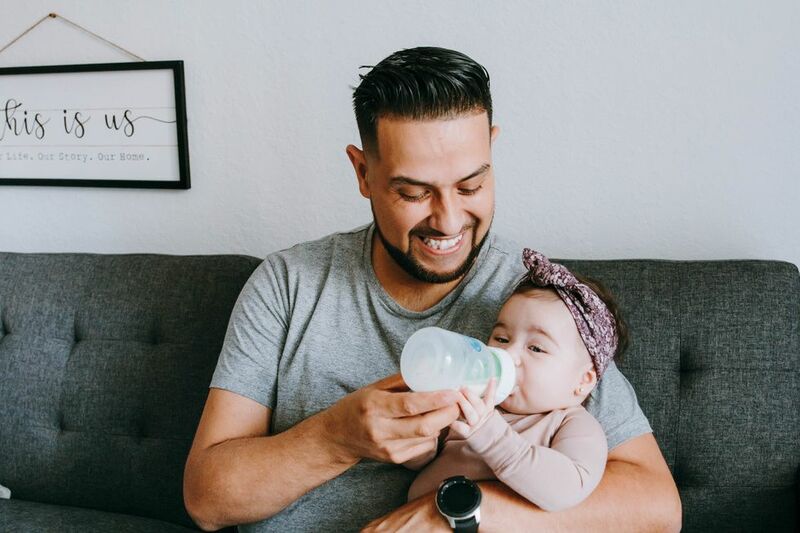 And unfortunately you’re not the only one affected; your baby’s little lungs are more susceptible to the effect of air pollution since they’re still growing. 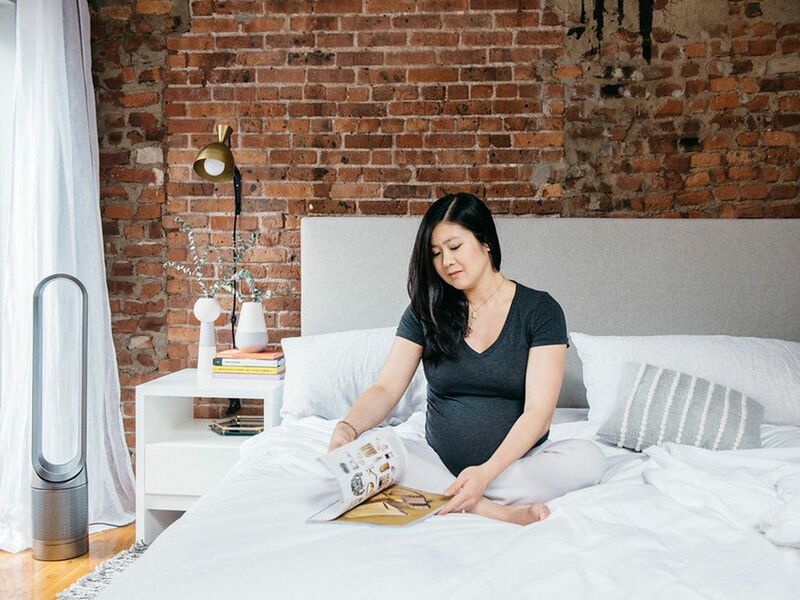 With the right tools though, you can create an indoor pregnancy oasis to weather the weather (yes, we just said that). 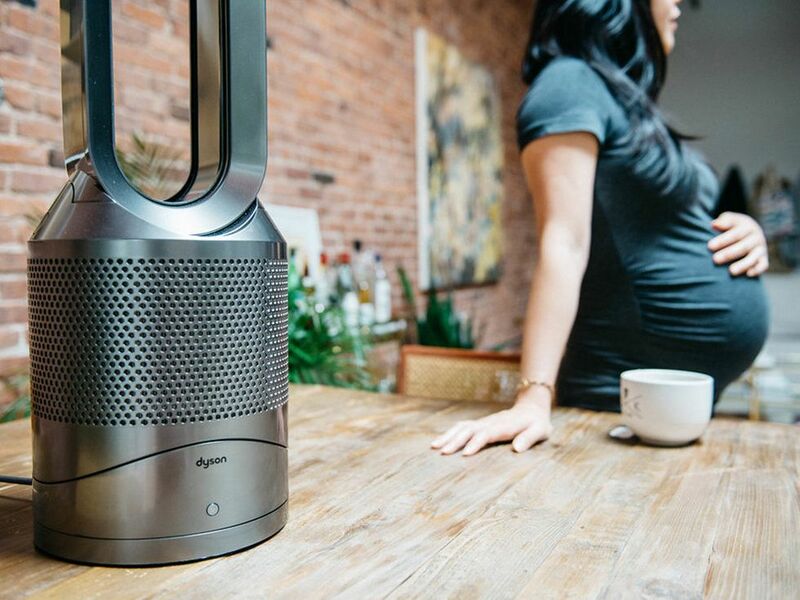 We’ve partnered with Dyson, an expert at capturing pollutants, to help you plan the perfect fall pregnancy escape... inside your own house. 1. Find the right fan. On those days when it feels like summer will never end, there’s nothing more refreshing than a cool blow of air. But most fans (and even some air conditioning units) also blow pollutants through the air, redistributing dust, dander and other toxins around your home... and into your lungs. 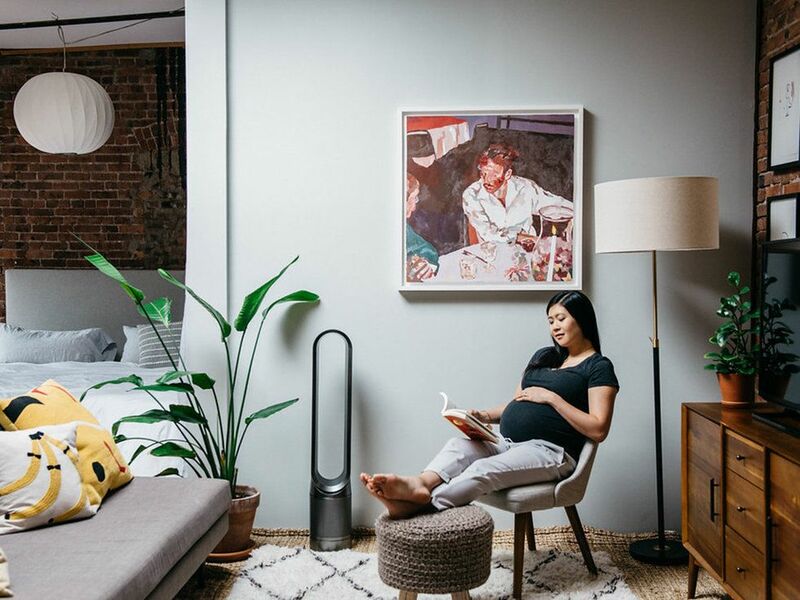 The Dyson Pure Hot+Cool Link not only blasts a powerful stream of purified airflow to cool you down, it also removes allergens and pollutants like pollen, mold and bacteria from the air. Plus, with both a cooling and heating feature, it’s a great investment for those unpredictable fall days -- and one that will keep paying off through the winter, spring and summer again. 2. Just add water. The temps may have dropped, but pregnancy probably has you feeling like a furnace anyway. It’s important to stay hydrated; keeping a glass of water on hand helps to regulate your body’s temperature in both directions. You can get your water in other ways as well; a cool washcloth can be a quick hydrating fix, or a humidifier, like Dyson’s AM10 Humidifier and Fan will help keep the air (and your skin) nice and moist. 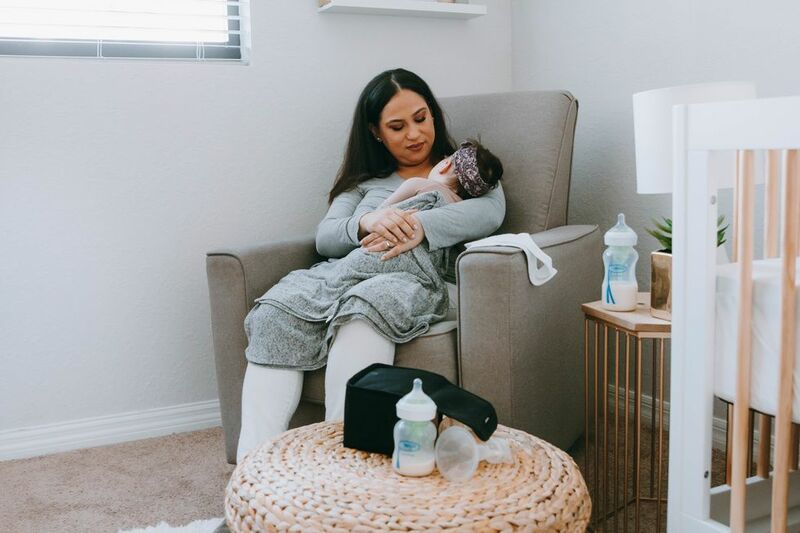 Dyson’s humidifier is also a must for when baby arrives -- it maintains the correct level of hydration in the air for up to 18 hours of continuous use, so you can keep your little one comfortable all night long. 3. Layer on essential oils. Oils like peppermint, spearmint and lavender can help even out your body temperature and lower your blood pressure, which can spike dangerously high during the later stages of pregnancy. Try putting some lavender in an essential oil diffuser, or add a couple of drops of peppermint to your bottled water to help oxygenate the blood and ease breathing. (When it comes to using essential oils during pregnancy, make sure to check with your doctor first). 4. Draw the shades. It’s the perfect fall day outside, but it still feels hot and stuffy inside. What gives? Believe it or not, as much as 30 percent of the unwanted heat in your home may be slipping in through the windows. You can beat the “greenhouse effect” by using blackout curtains or simply drawing the shades in the daytime. Drawing the shades also keeps heat from escaping as the temperatures drop, making them a great year-round investment that can lower your energy bill. 5. Slow down. When you’re running around, your heart rate goes up, and so does your heat index, especially when you’re pregnant...whether it’s hot or cold out. On those days where it feels like you just can’t get comfortable, cash in that pregnancy card and work from home, or take a pass on brunch with friends and cuddle up with a magazine in bed instead. 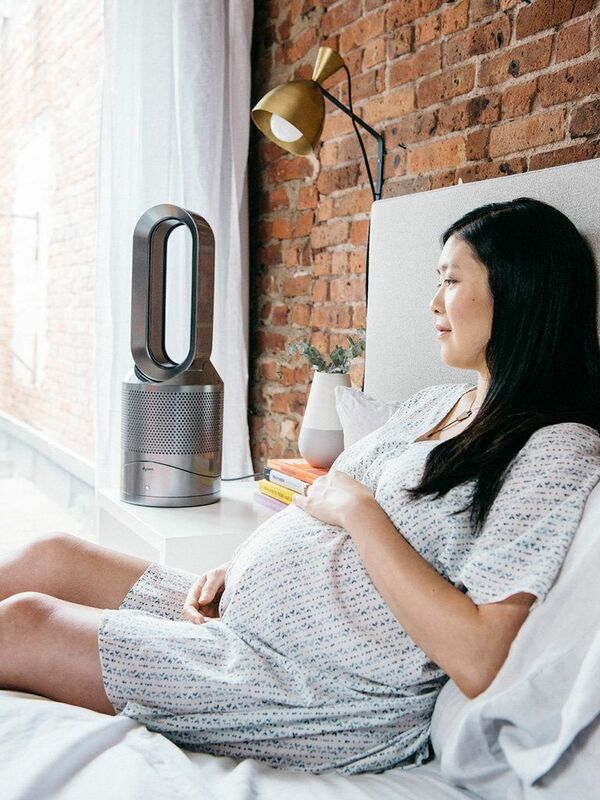 Bonus points for parking your pregnant bod near that new Dyson fan of yours -- you’ll feel calmer (and cooler) before you know it. Save up to $100 on select Dyson purifiers from now until Sept. 30, 2017. Check them out here.